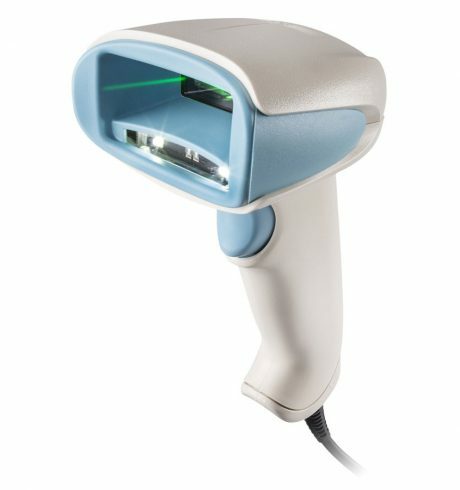 Honeywell has completely optimized the Xenon 1900h barcode scanner for applications in the healthcare sector. The powerful and proven scan engine of the successful Xenon also ensures that the healthcare variants deliver a top reading rate. Often in healthcare linear HD barcodes, complex 2D barcodes, images and signatures are used – all of which are no problem for the Xenon 1900h. Thanks to Adaptus imaging technology 6.0, the optimized sensor and the innovative encoding architecture, it quickly and reliably captures even hard-to-read barcodes. For the challenging environments in hospitals and in the laboratory, the Xenon 1900h offers excellent robustness. Its particularly cleanser-resistant and disinfectable housing in medical white withstands numerous drops from heights of 1.80 m onto concrete, and even more than normally happens during a typical day. As is the case with all area imagers, the Xenon 1900h features a construction entirely without moving parts. This significantly increases the reliability over a laser scanner with the pleasant result that down times are reduced to a minimum. A five-year warranty secures your investment.